New Zealand Prime Minister Jacinda Ardern announced Thursday plans to ban an array of semi-automatic guns and firearms components following a mass shooting that killed 50 people. 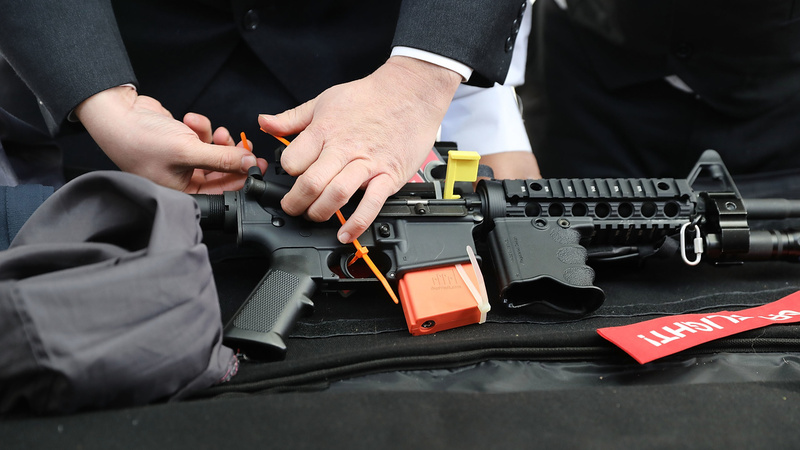 The ban includes “military-style semi-automatic (MSSA) and assault rifles,” along with high-capacity magazines and parts that help convert weapons into MSSAs. “I strongly believe that the vast majority of legitimate gun owners in New Zealand will understand that these moves are in the national interest, and will take these changes in their stride,” Ardern said, noting that gun ownership is “a privilege and not a right” in New Zealand. The move, which also includes a gun-buyback program estimated to cost the nation between $100 and $200 million, is already changing the shape of gun control conversations in the U.S., raising questions about how lawmakers will react following future mass shootings on American soil. For the most part, Democrats are praising the ban as a shining example of the kind of swift and decisive gun-control legislation not found in the U.S. Some gun-control advocates are pointing out discrepancies between the reactions of New Zealand and the U.S. following mass shootings.